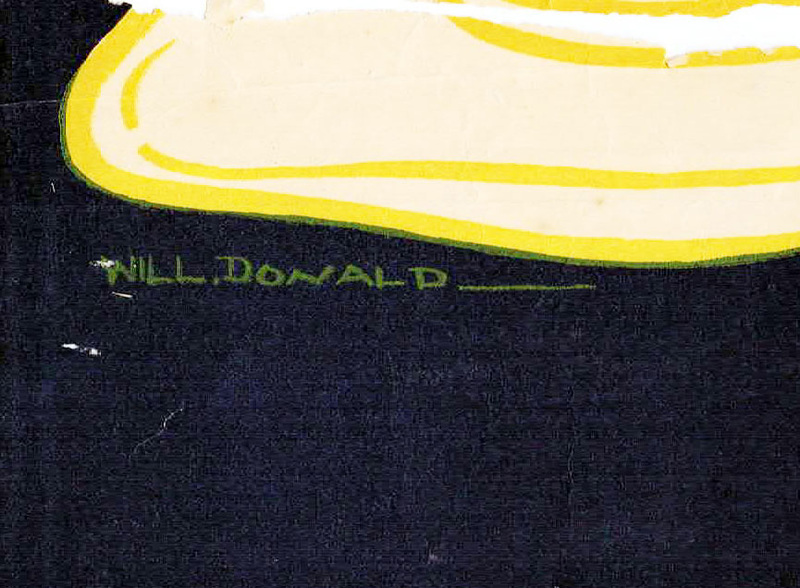 Will Donald was renowned for his pen and ink drawings as a Newspaper artist and later as an illustrator for comics. His career commenced in the early 1900s and continued through to the early 1940s. He worked for the Sydney Telegraph and various other publications, contributing political comment and satire. Many of his newspaper illustrations have been identified but it appears that he also produced the artwork for some movie posters in the 1920s including the Victor Fleming produced Red Hot Romance. His signature appears in the black area of the poster. This is the only Australian movie poster that I have heard of which bears his signature.